With Our Extensive Network and Web Application Penetration Tests. Have someone you need to track? Like a delivery guy or a sales rep for your business? Need to monitor your employees, children or spouse. Complete monitoring solution for android based phones. Computer based training packages on various advanced topics related to Information Security and Exploitation techniques. Nicely explained HD videos and ebook packages. Various private exploits and payloads for VAPT services. Our exploits and payloads are reliable and are updated regularly to bypass various antivirus and other defensive softwares. 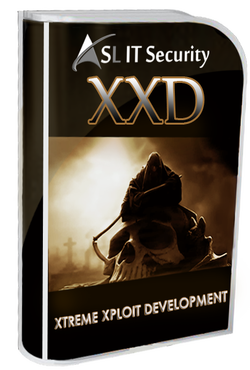 Xtreme Xploit Development is our exploit writing training where you will not learn just to use exploits but how to write your own exploits. With the advanced techniques to bypass DEP and ASRL and antivirus evasion methods you will be able to find new vulnerabilities and write reliable exploits. After this training you will posess the knowledge to take any advisory and write exploit for it. There is a lot more in modern day web exploitation than the good old alert(�xss�) and union select. Take your exploitation skills to next level by learning serialization attacks, bypassing hard WAF�s, creating stealthiest backdoors in the applications you compromise and chaining vulnerabilities. Find your 0days and write your exploits. Complete training will be hands on based on the challenges faced in real life exploitation. This is not an entry level training. This web hacking trainings is for starters who want to learn web hacking and security. This training covers OWASP top 10 and much more from start so you have in depth knowledge of web hacking. It covers manual detection and exploitation methods plus tools required for web hacking. What We Do? High Quality IT Security Services. We implement a perfect combination of automated and manual testing for the audit on networks and web applications. We have commercial and in house developed tool for testing. ASL IT Security provides in-depth binary analysis of the most significant public vulnerabilities and vulnerability found by us. Constant profiling, monitoring and accessing the threats specific to an organization or individual, and performing complete cyber investigation of specific targets. Most advanced instructor led and CBT based IT security trainings with latest tools and techniques. All trainings developed by experienced professional. Immediate incidence response and cyber forensics. Reverse engineering and analysis of malware and exploits found in the wild with detailed reports and ways to recreate them. Pentesting and research labs setup for offensive and defensive testing, training and development. Setting up honeypots to capture and analyze latest attacks circulating in the wild. ASL IT Security Pvt Ltd is India based company and have its office in Delhi. We have Security consultants and researchers working with us from across the globe and are experts in their field. Our vision is to be a leading global provider of end-to-end information security services at economical costs. We understand that Information Security is a cost center and our Information security R&D spending brings out innovative technical solutions to ensure that you save every bit of your corporate hard earned dollar without compromising on the quality of service. We keep on researching new exploitation techniques, vulnerability and technologies to provide our clients with the latest products and services. Most of our research remains private for the use of our clients and in-house use. is an experienced penetration tester and exploit writer. He found many vulnerabilities in MS Office products and other common softwares and wrote exploits for them. He is also well versed with very advanced exploit writing techniques like Return Oriented Programming, Jit Spraying etc and egghunting. He also have deep knowledge of exploit frameworks like metasploit. He has also found many 0 days in Government websites and reported them and assisted in patching those vulnerabilities. has seven years of experience in web application penetration testing. He had reported security vulnerabilities to yahoo and AOL. Abhishek had conducted successful security trainings on various topics for government agencies in India and abroad. He had performed many web application penetration tests and faced really challenging scenarios and found methods to overcome them. We have excillent researchers from around the globe working with us to develop newer techniques and tools, and to replicate the latest technology in market. So that we can provide you with the best technology in the world and to keep you one step ahead of others. We at ASL understand that in IT Security time is a very crucial thing. So keeping this in mind we take the deadlines very seriously. We keep our clients updated of the progress of the work and work hard to deliver the results before the committed deadlines. We provide excillent support to all our clients. For critical projects we have a team dedicated of researchers and technicians to assist our clients 24x7. We do a rigorous testing not leaving any single vector which might lead to a successful attack by combining manual and automated testing approach. Our trainings are developed by experianced team. All the topics are based on real life scenarios and challenges which come in various penetration tests and exploit development. We have a dedicated team to gather information through OSINT and various other covert methods for planning further investigations and intelligence. Our developers are skilled in most of the programming languages and have coded various security related and other tools. We can develop on demand custom tools and can also customize pre existing ones according to requirements.. Copyright � 2014 ASL IT Security.com. All rights reserved.